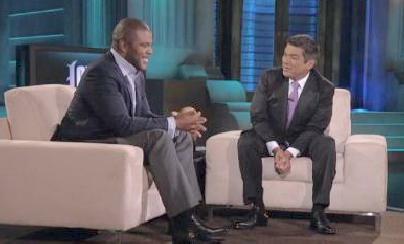 *Tyler Perry was on “Lopez Tonight” last week and told host George Lopez that he’s got huge crush on Diana Ross. He also admitted that he’d love to work with her in one of his films. However, The Boss apparently could care less ’cause he says she keeps ignoring him and won’t respond to his calls. Plus, Perry explains what he did to piss Prince off, and Lopez reveals what Madea would look like as an action star. Who wrote this fckn headline? It makes it sound like Diana Ross ignores Prince. Why the F would Diana Ross want to be in a Tyler Perry movie? That is the funniest thing ever. She has class, Tyler. Move on. Diana doesn’t have that much class, when she can have her lover’s(Berry)’s baby and then try to pass it off as your white husband child. Diana needs to tell T-P, like Nancy Reagan said in her drug campaign: JUST SAY NO!! Why would he have a crush on Diana Ross? Does he think she’s a dude or something? This headline is so misleading. Prince has no problem with Tyler Perry. In the interview with George Lopez, Tyler clearly discusses how Prince called him and asked for 5 tickets to one of his plays after JOKINGLY telling him not to sing Purple Rain anymore. This is sloppy journalism. Sloppy. He has a crush on Diana cause that’s what sissies do.